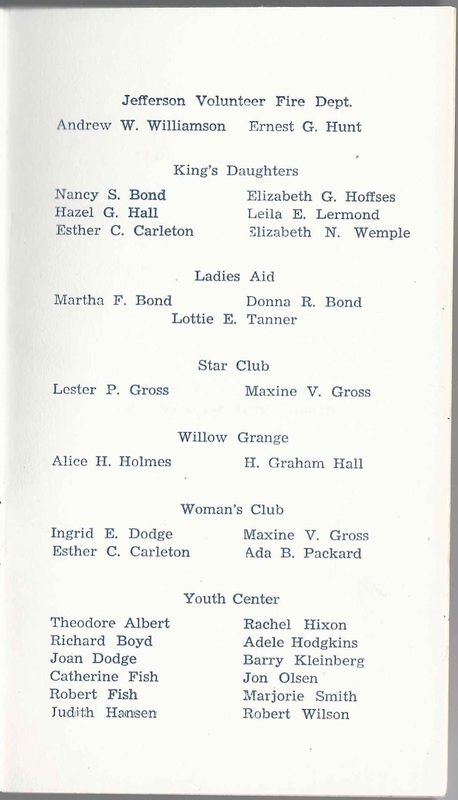 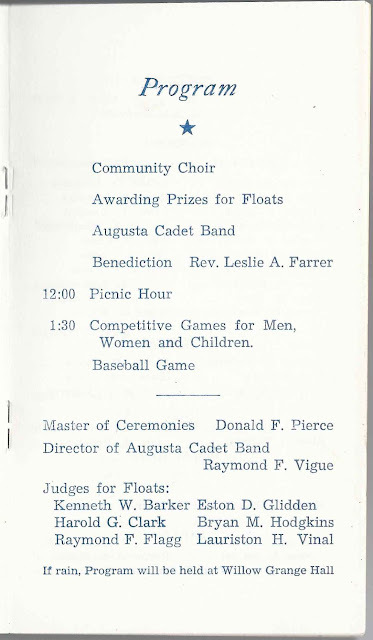 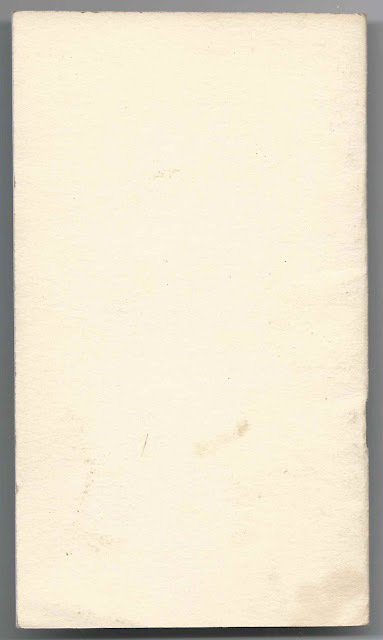 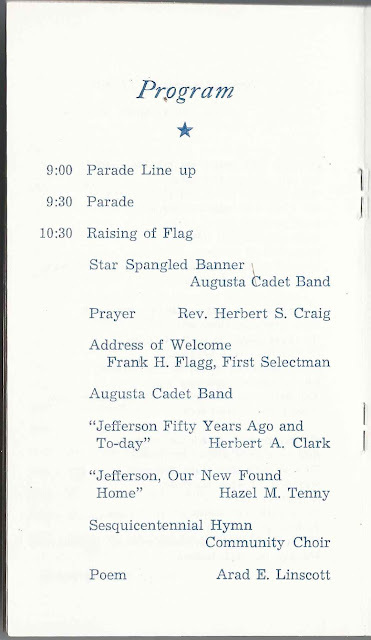 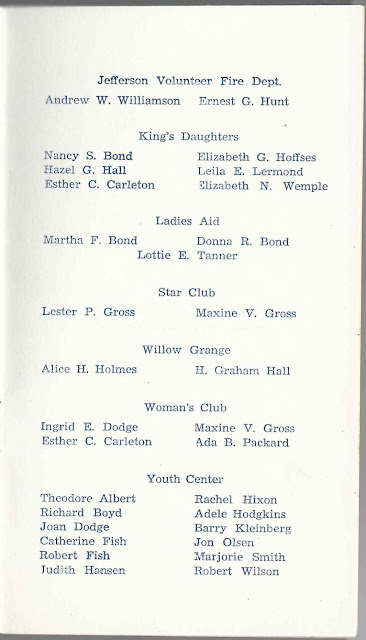 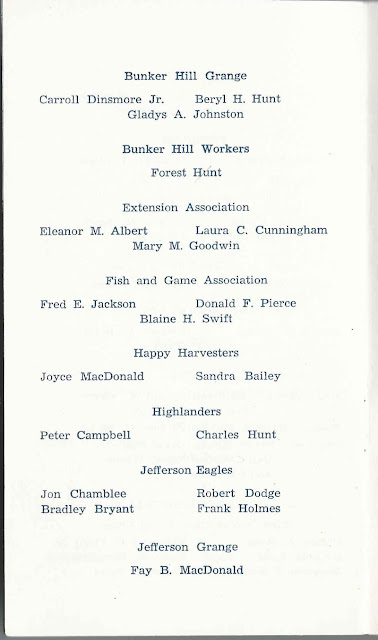 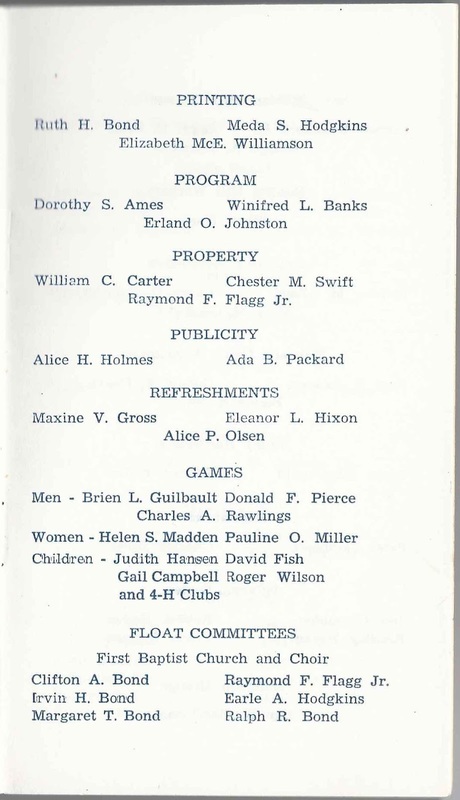 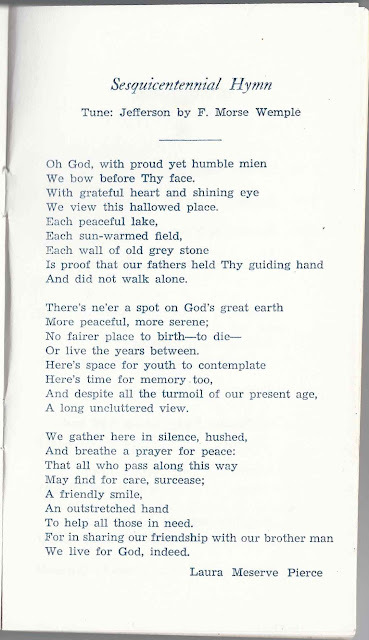 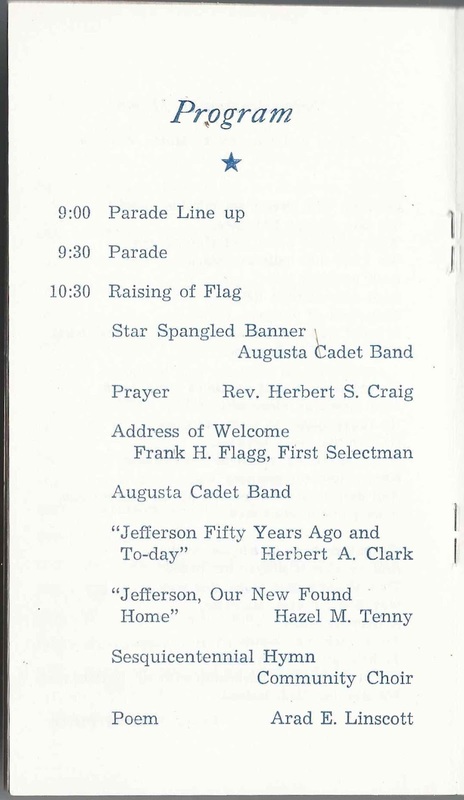 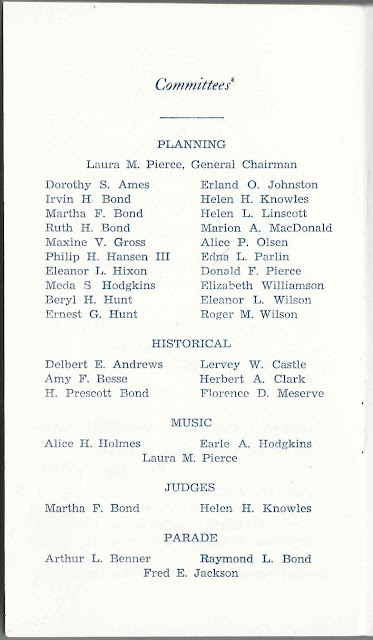 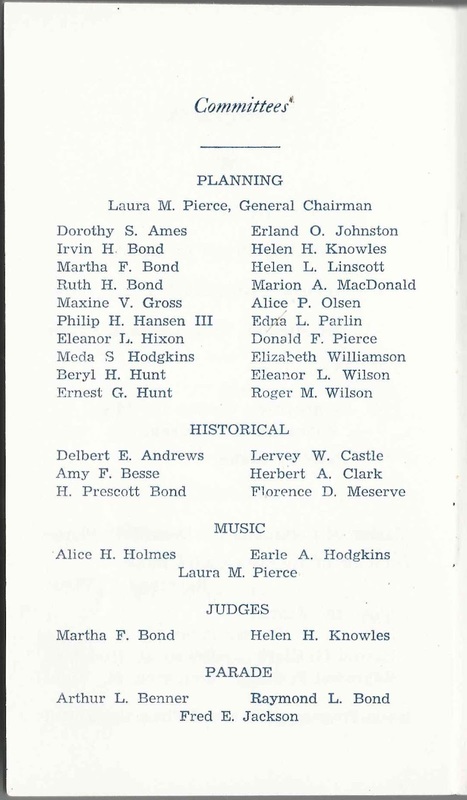 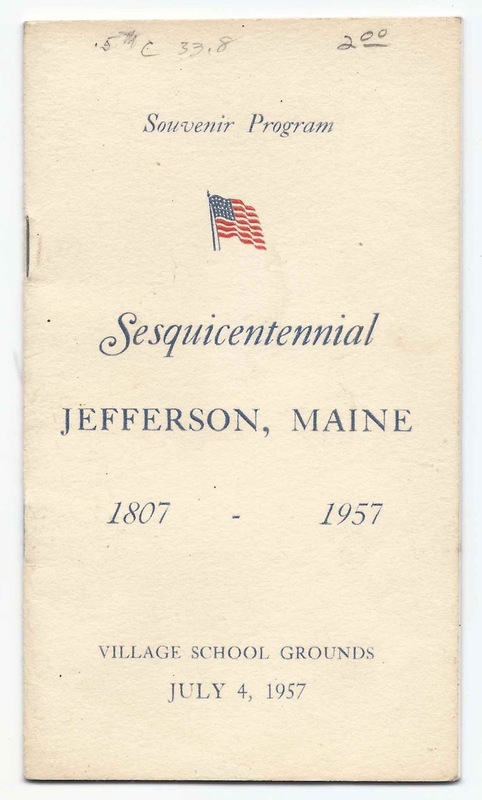 Souvenir Program of the Sesquicentennial of Jefferson, Maine, 1807-1957, held at the Village School Grounds, on July 4, 1957. 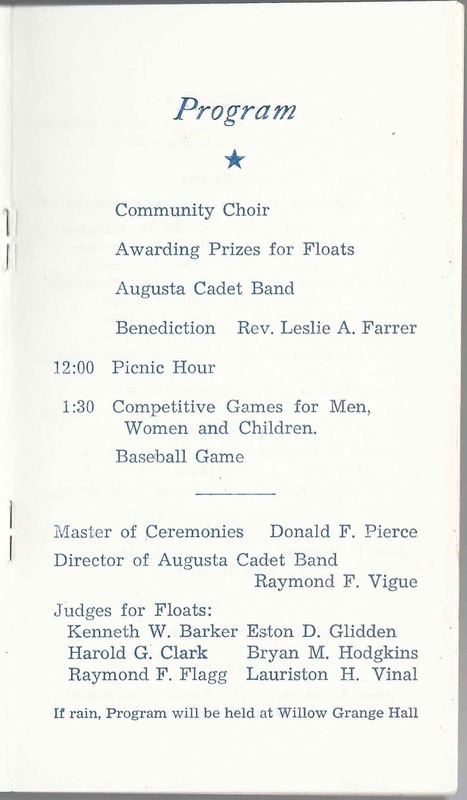 The program is approximately 6-1/8" x 3-1/2" inches and contains 12 interior pages. 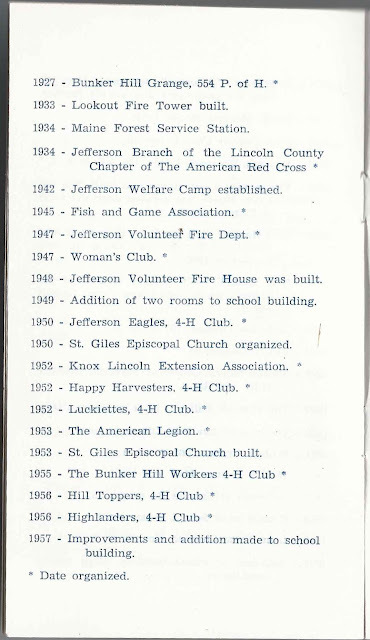 When I talked to the president of the Jefferson Historical Society about this program, she told me that the Society is in process of restoring the Old Town House as a museum. Hopefully this program will be displayed there soon. 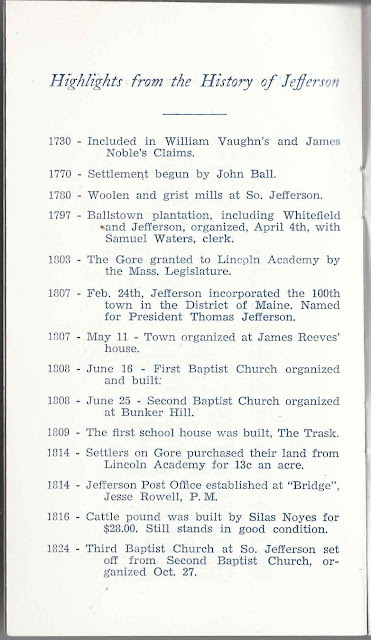 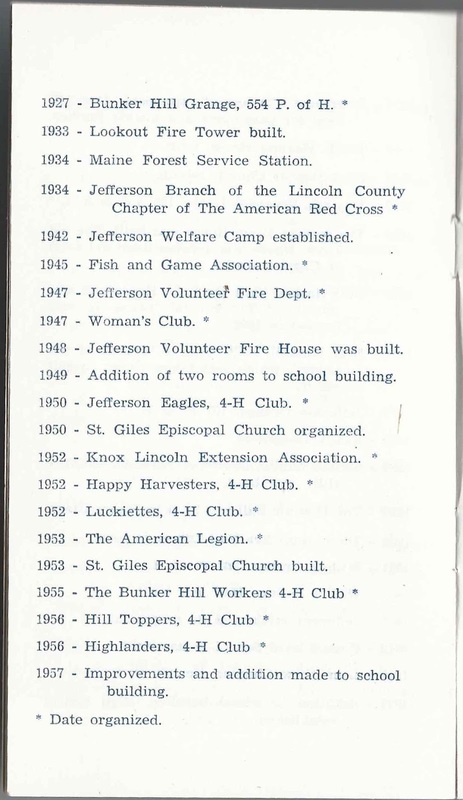 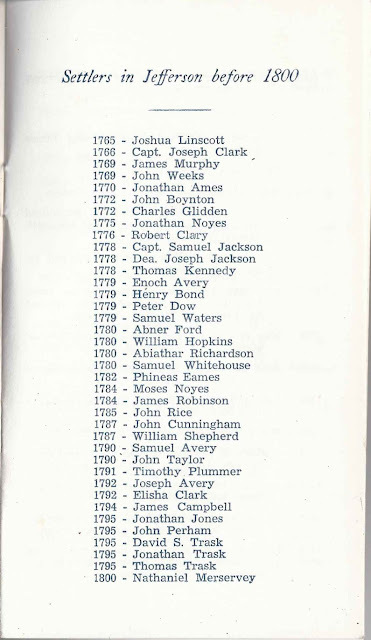 The first page of text shows a list of early settlers and the year they had moved to Jefferson. 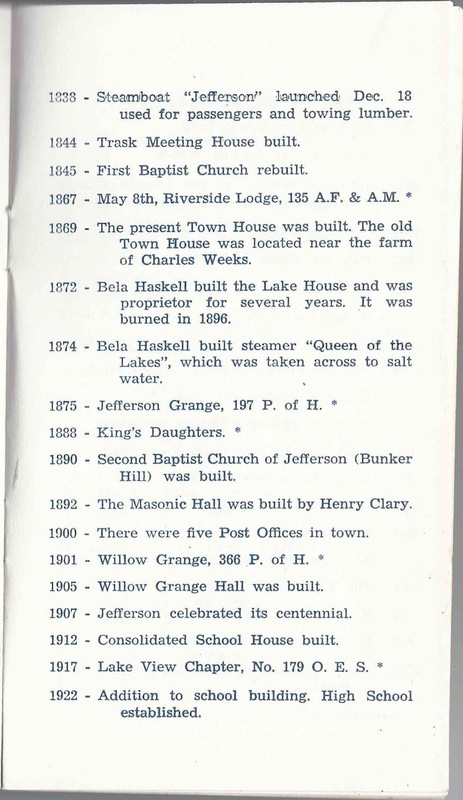 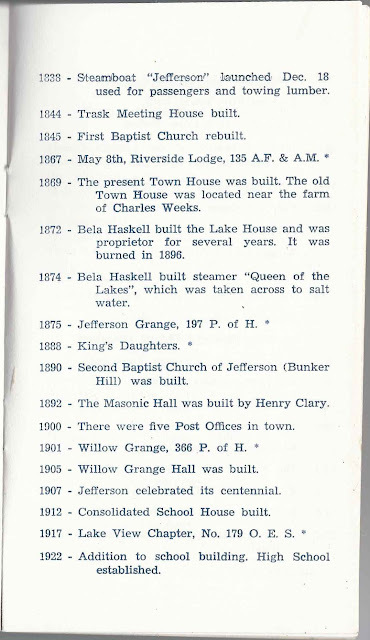 Highlights from the History of Jefferson, three pages starting in 1730 and ending in 1957. 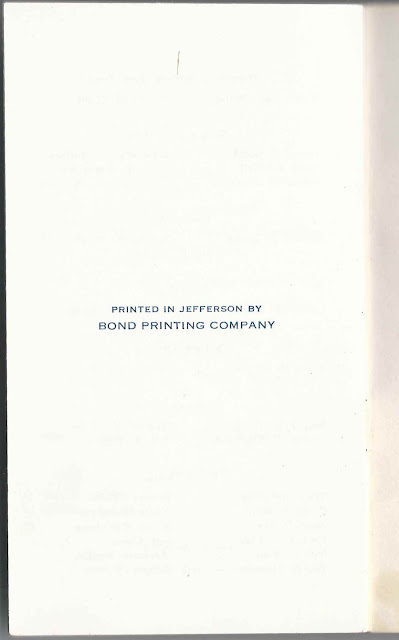 Clifton A. 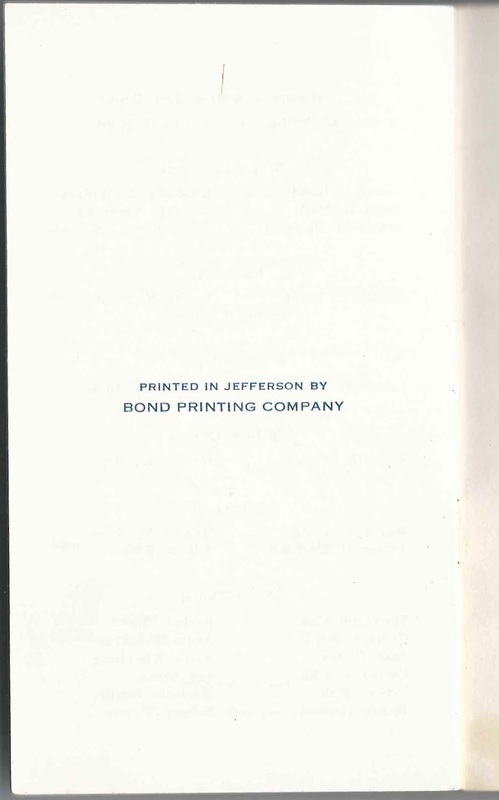 Bond Raymond F. Flagg, Jr.